The CWs Black Lightning, starring Cress Williams, Nefessa Williams, China Anne McClain, Krondon, Christine Adams and James Remar, still has the magic it had in season one and it's a great bit of binge material. Cress Williams has really grown on me as a superhero and a father dealing with local drug gangs, teen daughters and balancing it all out to stay sane. Even the cast that plays his family have truly pulled off pulling me into their developing stories. The one actor that has truly sparked my imagination is rapper turned actor Marvin "Krondon" Jones III, who plays the super-powered criminal king-pin, Tobias Whale. Tobias is an African American albino, and is immenesely strong. Whether he's powered by the same drugs that have mutated half the town or he's just naturally tough, we haven't discovered yet. The creative forces behind the show have also done some good things with the production, adding some great musical background, giving it a classic, soft rock 70s kind of vibe. The show does have a typical fault we find in many shows in this genre and that being how they find themselves introducing more and more meta-humans or super-powered characters, mostly bad guys, nearly each week to keep the energy of new challenges going. But what they aren't doing is going down the apocalyptic route, but rather, keeping the theme of dealing with local bad guys a constant. Too many shows head down the apocalyptic path and there's no coming back from that route. Remember Grimm, with David Giuntoli? It went down the apocalyptic route fast and it also went down story lines that they never followed up, like that grey skin problem the Grimm was starting to have in season three, then we never saw it again after that. Any way, They're keeping the stories local and real right now, adding new meta-humans every week to keep giving Black Lightning new challenges each week or so. And despite the obvious, this show makes you feel for the characters. The music sets the tone, the portrayal of black families and communities is enlightening, experiencing the constant racism that is so prevalent in these days, the daughters dealing with their powers and emotions, but on top of all that, the show is a fun yet poignant superhero show all at once. I'm not the only one that likes the show. On Rotten Tomatoes it has a 93% but a 6.3 / 10 on IMDb. 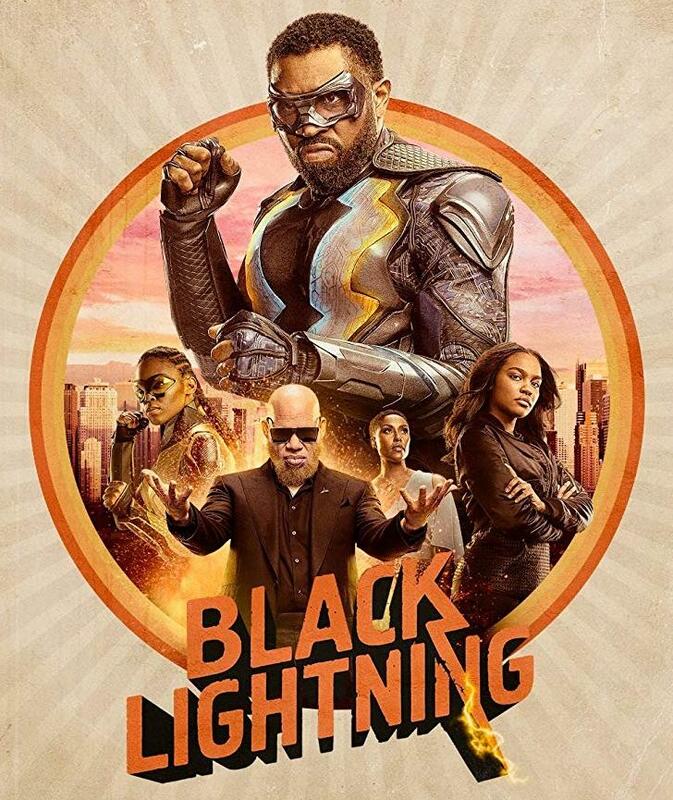 If you haven't seen Black Lightning yet, CHECK IT OUT!